GrCh, BW, NW Kenipurr's Hajime of Kurisumasu, D.M. GrCh, GrPr, NW Kenipurr’s Kuriketto of Kurisumasu, D.M. ﻿ I started showing cats in February, 1976, with a household pet I adopted from the Yolo County Animal Shelter in Woodland, California. Through my participation in the shows, I met many wonderful people and learned about the cat fancy and pedigreed cats. Kenipurr cattery was first registered in CFA in September, 1979, then later in ACFA and TICA. I began in Sunnyvale, California, then moved to the Puget Sound area of Washington state in 1983. Through the cat shows, I became interested in the Japanese Bobtails, and received my first shorthaired Japanese Bobtail, GrPr Kurisumasu Jin of Kenipurr, in September of 1996. 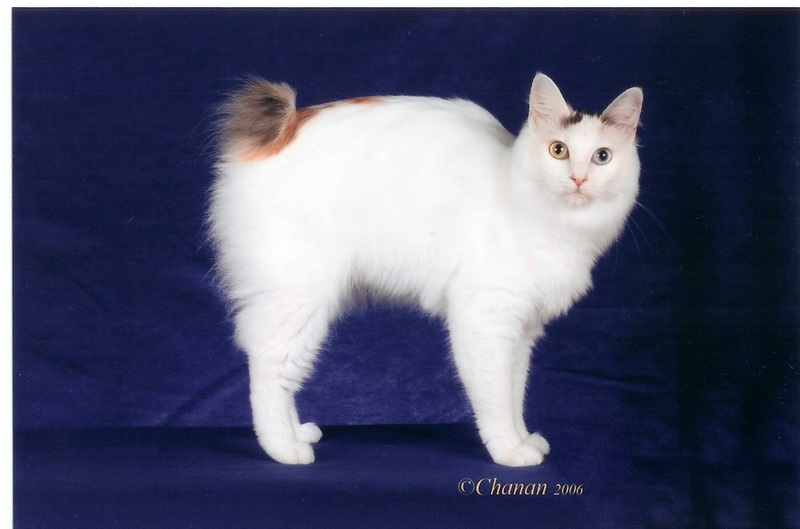 I am a member of the CFA Japanese Bobtail breed council. I am also a member of the Japanese Bobtail Breeders Society, Japanese Bobtail Fanciers, and the Longhair Japanese Bobtail Breeders' Club. I am an active member of several show-producing clubs in the upper Northwest, as well as participating in local and National breed rescue.